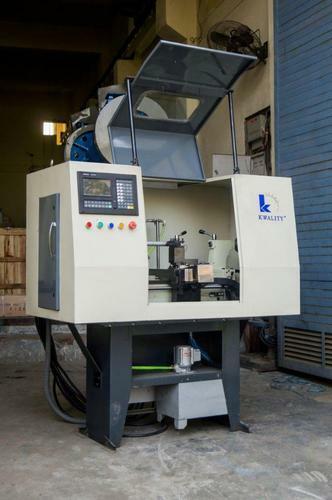 Incorporated in the year 1985, we "Kwality Machinery Export" are a Sole Proprietorship firm that is known as a renowned Wholesale Trader and Exporter of a qualitative array of Power Press, Milling Machines, Mechanical Shearing Machines, Sheet Bending Machines, Hydraulic Press Brake, Radial Drill Machine, etc. For providing our esteemed clients with world class products, we procure the offered products from certified vendors of the market. The experienced procurement agents of our team conduct deep market research and select the vendors on the basis of their market reputation, product quality, financial condition, delivery schedule, etc. Our associated vendors ensure us to provide premium quality products in various specifications within stipulated time frame. Located at Ludhiana (Punjab, India), we have a huge warehouse to store products in a safe and convenient manner. The warehouse is outfitted with all the requisite amenities that are needed to store the products safely and handled by our highly experienced storekeepers.